Joe has also been a hit overseas in Dubai, Qatar and Bahrain and throughout Europe and America. He has supported Rhod Gilbert and Stephen K Amos in Theatres on their National Tours. Graduating from Goldsmiths College (University of London) in 2003 with a BSc Hons in Psychology, Joe spends his days delivering inspirational and educational courses in goal mapping, mind mapping and accelerated learning techniques. 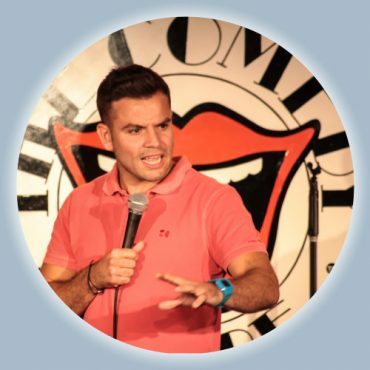 In the evenings, Joe works as a man of mirth, trading his surreal observations for laughter, performing in some of the most prestigious and reputable comedy clubs in and around London and across the UK. He completed presenting a UK Tour of Brainiac Live after appearing in all 6 series of the award winning hit TV show Brainiac: Science Abuse which saw him take part in live and highly dangerous scientific experiments.